The FORBES Global 2000 is a comprehensive list of the world’s largest, most powerful public companies, as measured by revenues, profits, assets and market value. This year, the Global 2000 companies hail from 62 countries, up from 46 in our inaugural 2003 ranking. In total, they raked in revenues of $38 trillion and profits of $3 trillion, with assets worth $161 trillion and a market value of $44 trillion. All those totals are higher than a year ago, with the largest growth being in market value (up 13% year-over-year). These firms employ 90 million people worldwide. For the first time, China is home to the world’s three biggest public companies and five of the top 10. State-controlled Chinese bank ICBC holds onto its No.1 spot for a second consecutive year, while China Construction Bank takes second place and Agricultural Bank of China moves up five spots to third. 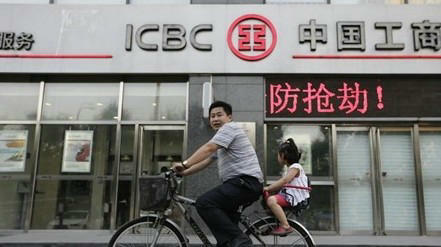 They’re joined in the top 10 by the other member of the “Big Four” Chinese banks, Bank of China, at No.9. As China gains ground, its best frenemy – the United States – account for the other half of the top 10 spots. Berkshire Hathaway and Wells Fargo WFC -both move up four spots to No.5 and No. 9, respectively. J.P. Morgan slides to fourth place as its total composite score slipped behind Agricultural Bank of China. Say goodbye to the two Europe-based companies in Top 10 last year, Royal Dutch Shell (No.11) and HSBC Holdings (No.14). The list presents an annual snapshot of the ever-changing global business landscape. The U.S. holds onto its crown as the country with the most Global 2000 companies: 564. Japan trails the U.S. with 225 companies in aggregate, despite losing the most members (26) this year. China (mainland and Hong Kong) adds 25 to the list this year, more than any other country, for a total of 207. Three countries debut on the list this year: Mauritius, Slovakia, and Togo.